After Darius, king of the Medes and Persians, had conquered Babylon, he executed all Babylonian government officials, except one. That fortunate man was Daniel, a servant of the true God. Seventy years earlier, he had been carried from Judah to Babylon as a captive and made to serve in the palace as an advisor to the Babylonian kings. Daniel became known throughout the kingdom for having "an excellent spirit." Daniel 5:12 6:3. Not only did King Darius spare Daniel, but he "thought to set him over the whole realm." Daniel 6:3. When the Medo-Persian officials learned that the king was going to promote an old Hebrew captive to rule over them, they were jealous and outraged. So they plotted to entice Darius to sign a law that for the next 30 days, anyone who petitioned any god or man except the king would be thrown into the lions' den (Daniel 6:7). Apparently these men knew that Daniel was unswerving in his prayer life and firmly committed to obeying the law of his God, which forbids worship of any other gods (Exodus 20:3). Just as they expected, the officials caught Daniel praying to God from his open window. When King Darius discovered that he had been tricked and that his old friend was headed for the lions' pit, he tried every possible angle to deliver Daniel from the foolish law he had signed. But the law could not be changed. Daniel went to the lions' den, and God rewarded his faithfulness by sending an angel to shut the lions' mouths (Daniel 6:22). Prophecy tells us that in the last days, God's people will have to make a similar decision regarding which king and which law they will obey. 1. Can God's moral law be amended or repealed? Luke 16:17. And it is easier for heaven and earth to ________, than one tittle of the law to fail. Psalms 111:7, 8 All his commandments are sure. They stand fast for ever and ever. 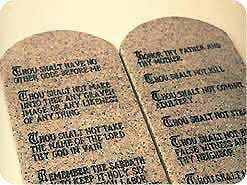 NOTE: Under no circumstances can God's Ten Commandment law ever be amended or repealed. It is as permanent as God Himself. Three times in the Bible, earthly kings (Herod, Ahasuerus, and Darius) made laws they later wanted to change but could not. 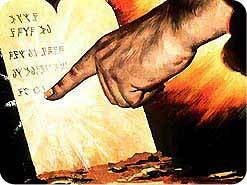 If the laws of weak, vacillating kings were unchangeable, how could anyone think that the eternal law of God, written in stone by His finger, could be altered? Look at this comparison between God and His law. God's law cannot be changed, because it is a transcript of His character. The glorious words in Scripture that describe God also describe His law. God's law is His character in writing. It is no more possible to change God's law than to change God Himself. 2. According to the Bible, what is sin? 1 John 3:4. Sin is the __________________________ of the law. Romans 3:20 By the law is the knowledge of sin. NOTE: The devil hates the law because it makes us aware that we need a Saviour from sin. Romans 4:15 states: "For where no law is, there is no transgression." The law cannot save anyone, but it shows us God's perfection and our imperfection. 3. To what law does 1 John 3:4 refer? Romans 7:7. I had not __________ sin, but by the law: for I had not __________ lust, except the law had said, Thou shalt not covet. NOTE: It is God's Ten Commandment law that says, "Thou shalt not covet." 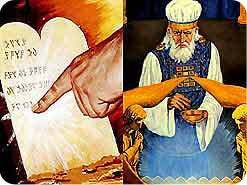 So breaking God's Ten Commandment law, which He wrote with His own finger (Exodus 31:18; 32:16), is sin. 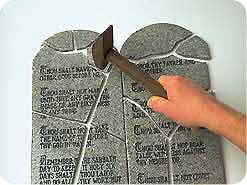 Every sin that any person could ever commit is condemned by at least one of the Ten Commandments. This is why God's law is called "broad" (Psalms 119:96) and "perfect" (Psalms 19:7). It covers the "whole duty of man." Ecclesiastes 12:13. When we are aware of our sin, we look for a Saviour. So the devil especially hates the law, because it sends us looking for Jesus to save and forgive. 4. 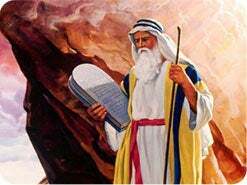 Did Jesus keep the Ten Commandments? John 15:10. 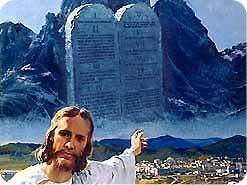 I have ________ my Father's commandments. NOTE: Jesus did indeed keep the Ten Commandments as an example for us (1 Peter 2:21). 5. How many people have sinned? Romans 3:23. For ______ have sinned, and come short of the glory of God. 6. What is the punishment for living a life of sin? Romans 6:23. The wages of sin is _________. NOTE: If God's law could be changed, it would not have been necessary for Jesus to die on the cross. The fact that Jesus paid the penalty for sin and died is proof that the law is unchangeable. 7. 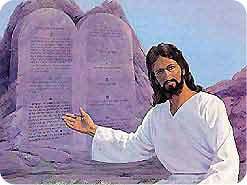 Some say the Ten Commandments are not binding for New Testament Christians. What does Jesus say about this? Matthew 19:17. If thou wilt enter into life, ________ the commandments. John 14:15 If ye love me, __________ my commandments. 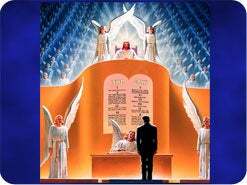 Revelation 22:14 Blessed are they that do his commandments. Revelation 14:12 Here is the patience of the saints: here are they that __________ the commandments of God. NOTE: The New Testament plainly teaches that God's people will keep His commandments. All of us know that the world is in big trouble today because so many no longer feel it is important to obey God's law. 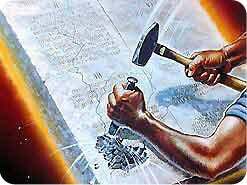 The Bible speaks of our day by saying, "It is time for thee, Lord, to work: for they have made void thy law." Psalms 119:126. 8. How is it possible to keep the commandments? Philippians 4:13. I can do all things through __________ which strengtheneth me. Romans 8:3, 4 God sending his own Son ... condemned sin in the flesh: That the righteousness of the law might be fulfilled in us. Philippians 1:6 He which hath begun a good work in you will perform it until the day of Jesus __________. NOTE: When a person is born again, Jesus Christ, through His Holy Spirit, moves into that person's life and miraculously makes obedience possible. 9. What is the old covenant, and why did it fail? Hebrews 8:8-9. 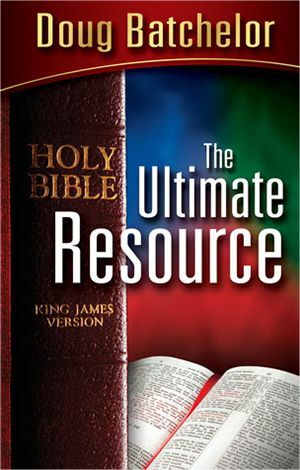 Deuteronomy 4:13 And he declared unto you his covenant, which he commanded you to perform, even ten commandments; and he wrote __________ upon two tables of stone. Hebrews 8:8-9For finding fault with _______, he saith, ... I will make a new covenant with the house of Israel and with the house of Judah. Not according to the covenant that I made with their fathers in the day when I took __________ by the hand to lead __________ out of the land of Egypt; because they continued not in my covenant, and I regarded __________ not, saith the Lord. 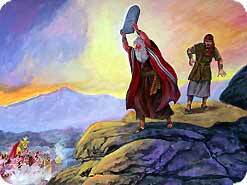 NOTE: The fault with the old covenant was with the people, not with God or His law. 10. 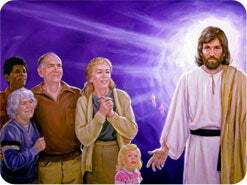 Upon which law is the new covenant based? Hebrews 8:10. For this is the covenant that I will make ... saith the Lord; I will put my laws into their mind, and write them in their ____________. NOTE: The two covenants were agreements between God and His people. The old covenant failed because it was based upon the faulty promises and works of the people. Exodus 24:7 All that the Lord hath said will we do, and be obedient. The new covenant succeeds because it is God's law written in the heart and is based upon Jesus' promises and His miracle-working power. 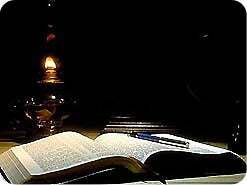 Hebrews 8:10 I will put my laws into their mind, and write them in their hearts. A person's entire nature is changed, so he finds doing God's will a pleasure. Notice that the new covenant is based on the same law, but it is written in a different place (the heart) and based on better promises (God's). 11. Doesn't living under grace, by faith, make keeping God's law non-essential? Romans 3:31 Do we then make void the law through faith? __________: yea, we establish the law. NOTE: Those who have been forgiven by Jesus for breaking His law are doubly duty-bound to obey His law. 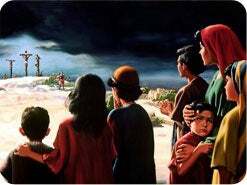 And sensing His blessed forgiveness, they are more desirous than others to happily follow Jesus. 12. Are people saved by keeping the law? Ephesians 2:8, 9. For by __________ are ye saved through faith; and that not of yourselves: it is the gift of God: Not of works, lest any man should boast. NOTE: No one is saved by keeping God's law. All are saved by the miracle-working grace of God. But those who are saved, or transformed, by the grace of Jesus will want to obey His law as an expression of their love and thanksgiving to Him. 13. What motivates a person to obey God's law? Romans 13:10. Therefore ________ is the fulfilling of the law. Matthew 22:37-39 Thou shalt __________ the Lord thy God with all thy heart, and with all thy soul, and with all thy mind. This is the first and great commandment. And the second is like unto it, Thou shalt __________ thy neighbor as thyself. 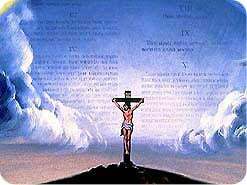 1 John 5:3 This is the __________ of God, that we keep his commandments. NOTE: Love is the magnificent motivator. The first four commandments have to do with my duty to God. When I love Him, obeying those commands is a pleasure. The last six commandments embrace my duty to people. If I truly love people, I will not want to do anything that would hurt them. 14. Can I be a true Christian without keeping His commandments? 1 John 2:3, 4. And hereby we do know that we know him, if we ________ his commandments. He that saith, I know him, and __________eth not his commandments, is a liar, and the truth is not in him. 15. Are some Old Testament laws no longer binding upon Christians? Ephesians 2:15. Having abolished ... the law of commandments contained in _______________. NOTE: Yes, the ordinances that regulated the priesthood and the sacrificial system have been abolished because they prefigured Christ (Colossians 2:13-17). 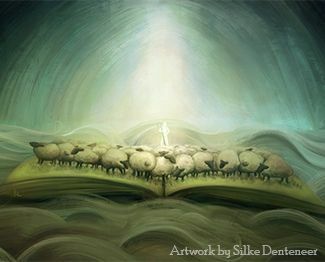 He fulfilled them as the true Lamb of God. 16. Whom does the devil especially hate? Revelation 12:17. 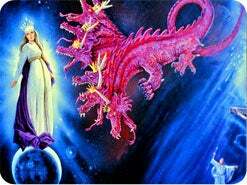 And the dragon [devil] was wroth with the woman [the church], and went to make war with the remnant of her seed [faithful during the end time], which keep the ________________ of God, and have the testimony of Jesus Christ. NOTE: Satan hates and is infuriated with God's end-time church, which obeys Jesus' commands and teaches people that there is divine power to change a sinner into a saint. 17. What are some of the glorious rewards of keeping God's law? John 15:11. These things have I spoken unto you, that my joy might remain in you, and that your ______ might be full. Proverbs 29:18 He that keepeth the law, happy is he. NOTE: Happiness, joy, peace, and more abundant living come to those who obey God's law. No wonder David said that God's commands are more desirable than gold (Psalms 19:10). 18. Do you desire to have a loving relationship with Jesus that will lead you to be one of His joyful, obedient children? Many of the Bible heroes are types and patterns of Jesus. Moses, Joseph, David, and Solomon were all people who, at some point in their lives, foreshadowed the life and ministry of Christ. The similarities between their experiences were intended to help the world recognize Jesus as the Son of God. -The leaders in Medo-Persia wanted to remove Daniel from his high position because they were jealous of his close relationship with the king. Daniel 6:3 says, "The king thought to set him over the whole realm." Likewise, the leaders in Jerusalem wanted to get rid of Jesus because they were jealous of His close relationship with the King of the universe (John 5:18-20). 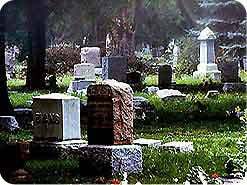 -The Medo-Persian officials followed Daniel around in an attempt to catch him doing or saying something wrong (Daniel 6:4). The religious leaders of Jesus' day sent spies to follow Jesus, hoping to catch Him doing or saying something wrong (Luke 20:19, 20). -Daniel's enemies could find no fault with him, so they created a trap to accomplish their purposes (Daniel 6:5-9). Likewise, the chief priests and scribes conspired with Judas Iscariot to make a trap for Jesus (Luke 22:2-6). 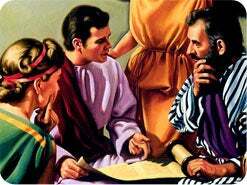 However, Pilate declared that he found no fault in Jesus (John 19:4). 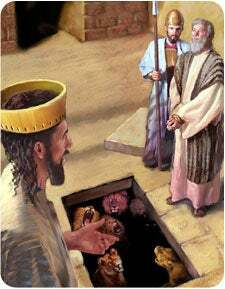 -After Daniel was thrown into the lions' den, a stone was placed over the entrance and sealed with the government seal (Daniel 6:16, 17). Jesus also was placed in a tomb that had a large stone at the door and was sealed by the government (Matthew 27:58-60, 65, 66). -Both Daniel and Jesus were innocent and emerged alive from their earthen prisons (Daniel 6:23 Mark 16:5, 6). See if you can find other parallels between the lives of Bible characters and the life of Jesus!